So this photo shows my family. 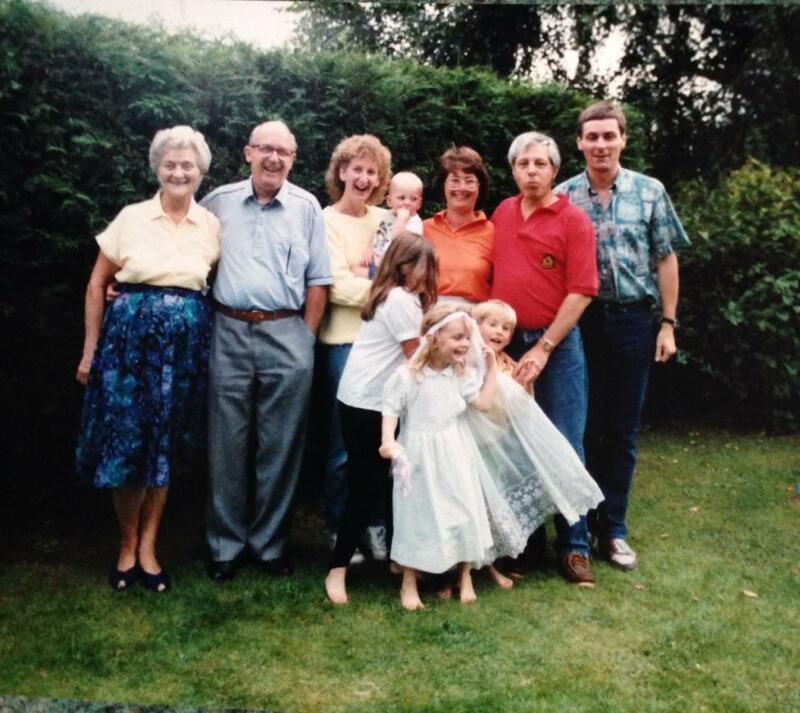 My grandparents are on the left; Bessie on the far left and Ted next to her, with me as the small blonde child at the front. When my grandparents passed away they left me with enough money to maybe put a deposit down on a small house, buy a new car or even pay for a month long holiday in the Mediterranean! I decided to go against the norm and purchase four alpacas, starting what is now known as Ted & Bessie. I wanted to start a company which made sustainable and ethical knitwear; return back to the days my nana Bessie would make knitted hats and scarves and Ted would wear them until they no longer represented items of clothing. Simple, beautiful designs made from eco friendly fibre was my goal, and this is what we’ve created; knitwear entirely produced and manufactured here on British soil. We ensure ethical processes in all stages of production and only use British manufacturers. Born in Britain. Made in Britain.